Trelleborg Sealing Solutions will exhibit its newest innovations at the 2015 Offshore Technology Conference (OTC), occurring May 4-7 at the NRG Park in Houston, Texas. 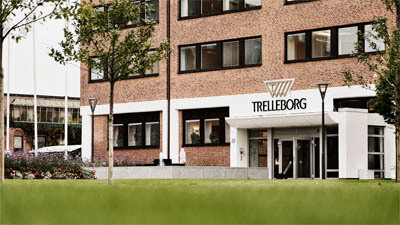 Trelleborg will display its next generation designs that have achieved certified industry standards for quality, safety and performance. Trelleborg seals and bearing solutions set the precedent for operating in harsh offshore environments; reducing friction and downtime while extending the service life of oil and gas equipment. As an enabler of exploration, drilling, extraction, production and distribution of oil and gas, oilfield service companies (OFS) are the backbone of the industry and growing in capacity and importance. Service-intensive production capabilities to attain unconventional oil sources are on the rise according to several industry analysts. "While the current drilling and extraction environment puts pressure on the oil and gas companies, it is a great landscape for OFS companies and their suppliers when they meet their needs. Trelleborg supports OFS companies by addressing their unique needs, delivering accelerated performance while maintaining high safety standards," says Eric Bucci, Segment Manager for Oil & Gas Americas, Trelleborg Sealing Solutions.